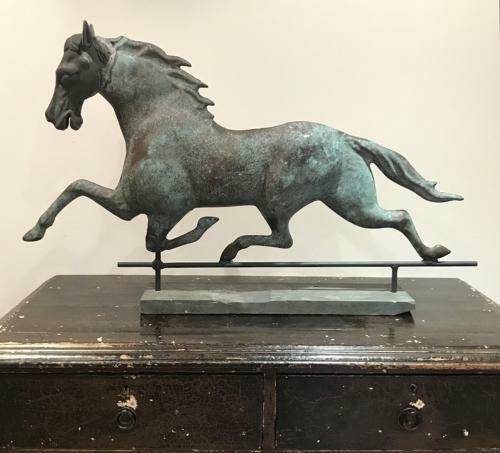 A beautiful late 19th century American galloping horse weathervane. The horse has a copper body with Verdigris and a heavy iron head. Mounted on a later stand and slate base. A nice decorative piece.